SIMPLY MAN MATCH: WHERE HAVE YOU BEEN ALL MY LIFE? 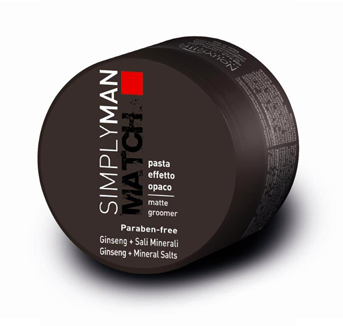 ...stuck in the review box, just waiting to be tried, that's where Simply Man Match has been stashed for the past few months, and if we were to know how good this innovative range of men's grooming products really are, they'd have popped out a lot sooner. 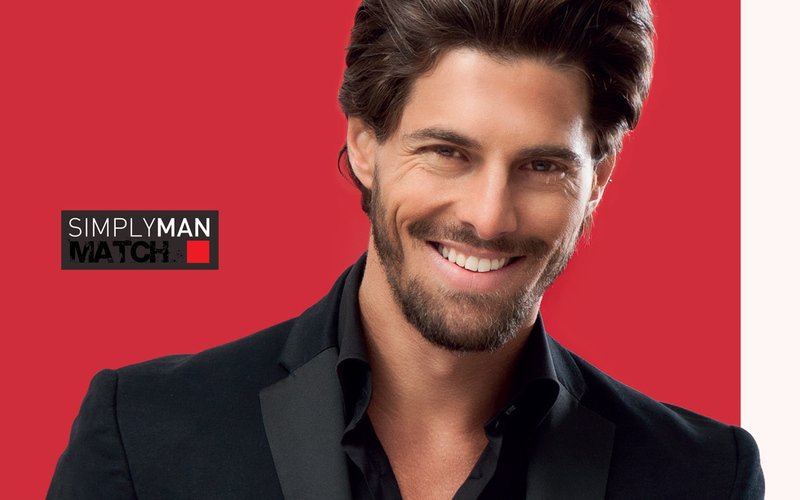 Simply Man Match, formulated by Nouvelle, is a sleek range of grooming products designed for men. This stunning range consists of essential men's beauty items that cater for the skin, body and hair. Heard it all before, right? Well, this rather affordable range isn't just for the casual grooming enthusiast, as it does what we come to expect from the modern day grooming products - it performs. It should be noted that all the products in the Simply Man Match range are paraben-free, which could be seen as an essential asset for many guys who take their skin and hair seriously. It's refreshing to use a set of products that avoid the commonly used synthetic preservatives that most cosmetic products within this price-range tend to do. Many of the carefully considered ingredients in this range, including ginseng and avocado oil, are effectively used to revitalise tired looking skin and help enhance our beloved hair. What products make up the Simply Man Match range? An anti ageing cream treatment for men with a moisturising, soothing action. It gives firmness and defends against external agents, revitalises the dull effect and hinders the visible signs of ageing. The anti-ageing properties of this cream are provided mainly by a botanical and biotechnological synergistic complex consisting of a blend of molecules that are active against skin ageing, contained in very small vesicles known as niosomes, which provide extremely effective delivery into the epidermis. Our regular readers will already know what kind of features we require from a skin care product, especially when it comes to a cream or moisturiser. With its soft texture and matte finish, this cream should be ideal for men who tend to suffer from oily or dry skin. It seems to work as a multi-tasking formula that benefits the two main types of men's skin. With its easy-to-absorb texture, this cream won't leave your skin looking greasy or shiny, which is a huge plus point when you consider how many other products in this price-range do not measure up. It should also be noted this cream can be hugely effective when used straight after a wet shave, with its soothing and cooling anti-ageing properties. The scent of this cream is also a big hit with us, blending a soft tone without compromising on the masculinity. Active Ingredients: Ginseng extract, Avocado oil, Mineral salts, NIOSOMES (Pomegranade seed oil, purified yeast extract, ribonucleotide monophosphates). Effects: moisturising-nourishing, antibacterial-soothing-softness-sheen, soothing-protective, Anti ageing. Matte effect paste, it is perfect for the wildest looks. It shapes hair and creates your style! With one simple, precise application, Matte Groomer gives long-holding results with a matte finish. Let's face it, you can't really go wrong with a matte textured hairstyling product. Matte stylers are without question the most popular hairstyling texture for men, due to its versatility and sculpting ability across different hair lengths. The impressive thing about Matte Groomer is that it is actually a little softer and more moist than usual matte clays, but it does not leave your hair feeling or looking greasy, meaning it performs like a dry clay but it can be seen as a healthier option for your hair by adding essential moisture the strands, without flaking. Like with the anti-ageing cream, the scent of Matte Groomer is blends a soft tone without compromising on the masculinity. It stays consistent with the rest of the products in this line, which is absolutely essential for all successful brands to implement. Active Ingredients: Ginseng extract, Mineral salts. The importance of small daily gestures in order to have strong healthy hair, combined with an effective antibacterial, energising action to combat scalp imperfections. This 3in1 hair lotion prevents the formation of sebum, dandruff and premature hair loss (alopecia). Ok, so we all know there isn't a cure for hair loss, but it's always nice to know we are doing everything possible to give our hair the very best chance of maintaining its health and endurance. At the end of the day, we just want to know our hair is being well looked after. 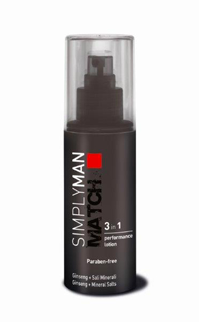 With its potent formula and easily-penetrating absorption, Simply Man Match Performance Lotion offers guys peace of mind, so you can have the luxury of worrying less about your hair. This multi-tasking formula offers your hair that extra protection it needs in the busy modern day life routine, and what's more, it smells great. For under £10, this lotion comes in a generous 100ml bottle, which should keep you stocked up for up to 7-8 weeks. For more information, or to purchase the Simply Man Match range, head on over to Chill Cabinet, the exclusive distributor.